The gray-robed monks in the St. Ambrose Retreat House on Long Island’s Gold Coast have become well known for their barbecuing prowess. They have written a book on barbecuing, host their own weekly BBQ television show, and offer their own line of barbecuing tools and utensils. For fundraisers, parties and other special events, having an event at St. Ambrose, hosted by Grillin’ with the Monks, has become a very fashionable thing to do. Stephen Grant, pastor at St. Mary’s Lutheran Church on Long Island, former Navy SEAL and onetime CIA operative, came on the thriller/mystery scene in Warrior Monk: A Pastor Stephen Grant Novel. 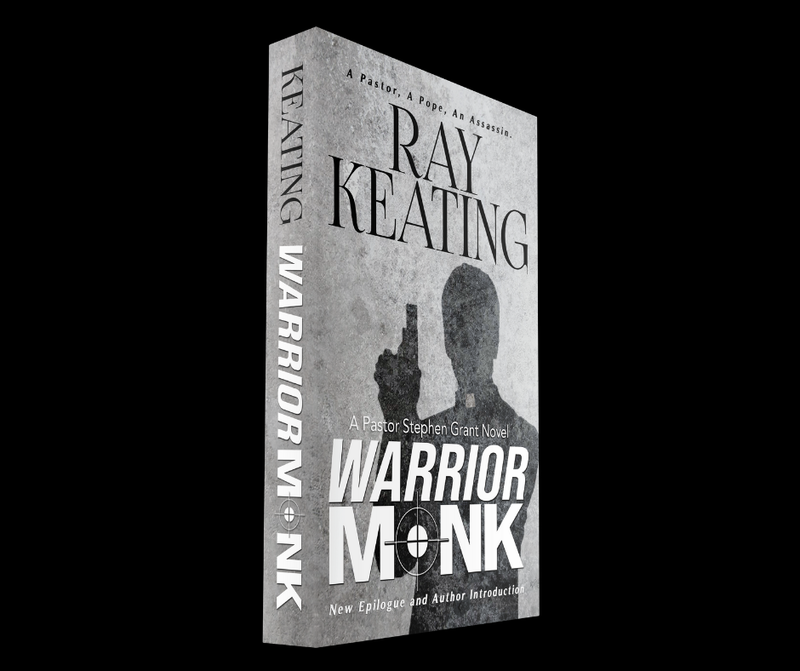 This book by award-winning novelist Ray Keating has received accolades from reviewers and readers, and now the second edition has arrived with a new Author Introduction and Epilogue. 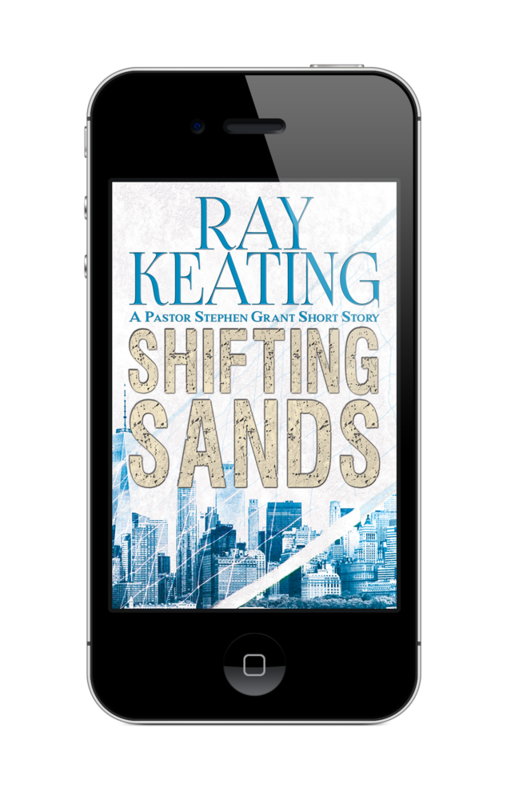 In the new Introduction, Keating answers an assortment of questions about the book and writing, while the new Epilogue provides a glimpse at an upcoming Pastor Stephen Grant novel. The second edition of Warrior Monk comes after the tenth Pastor Stephen Grant adventure, Shifting Sands: A Pastor Stephen Grant Short Story, was published in November 2018. 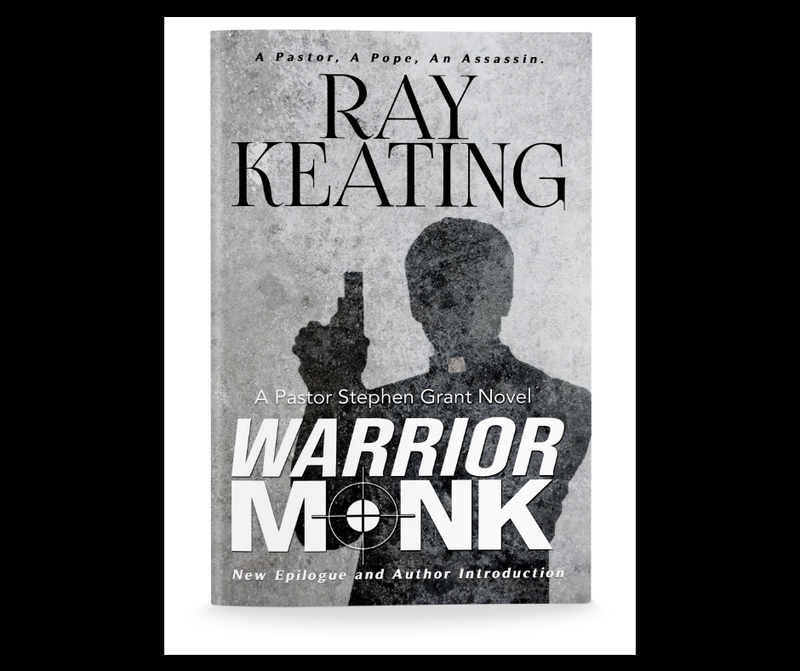 Paperbacks and Kindle editions of Warrior Monk: A Pastor Stephen Grant Novel are available at Amazon.com, and signed books at RayKeatingOnline.com. 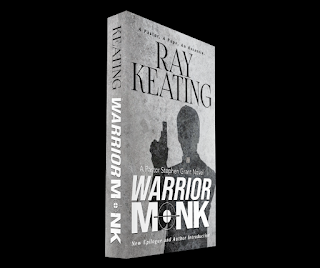 In addition, a new edition of A Discussion Guide to Ray Keating’s Warrior Monk has been published, which also is available at Amazon.com and signed books at RayKeatingOnline.com. 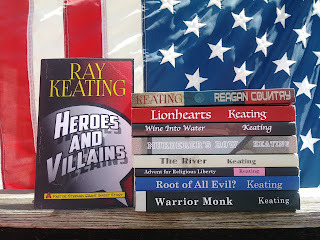 Keating’s other Pastor Stephen Grant thrillers/mysteries – Shifting Sands, Heroes and Villains, Reagan Country, Lionhearts, Wine Into Water, Murderer’s Row, The River, An Advent For Religious Liberty, and Root of All Evil? – also have received widespread praise. 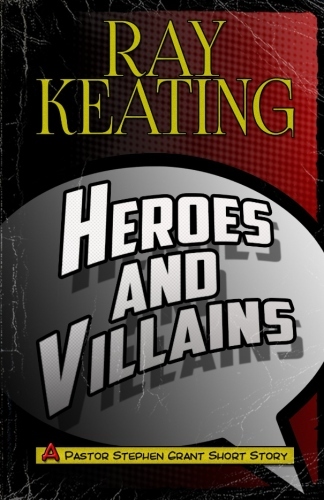 Heroes and Villains is the first short story from award-winning novelist Ray Keating, and it ranks as another exciting thriller. Stephen Grant, pastor at St. Mary’s Lutheran Church on Long Island, a former Navy SEAL and onetime CIA operative, must confront violence springing from a toxic mixture of pop culture and ideological extremism. Of course, many people think of Grant as a hero. At various times defending the Christian Church and the United States over the years, he has journeyed across the nation and around the world. But now Grant finds himself in an entirely unfamiliar setting – a comic book, science fiction and fantasy convention. But he still joins forces with a unique set of heroes in an attempt to foil a villainous plot against one of the all-time great comic book writers and artists. Heroes and Villains: A Pastor Stephen Grant Short Story comes on the heels of Keating’s just-released Reagan Country: A Pastor Stephen Grant Novel, which takes readers on a wild ride from the Reagan Presidential Library in California to the White House to a Russian Orthodox monastery to the Kremlin, while also providing a salute to the legacy of Ronald Reagan. 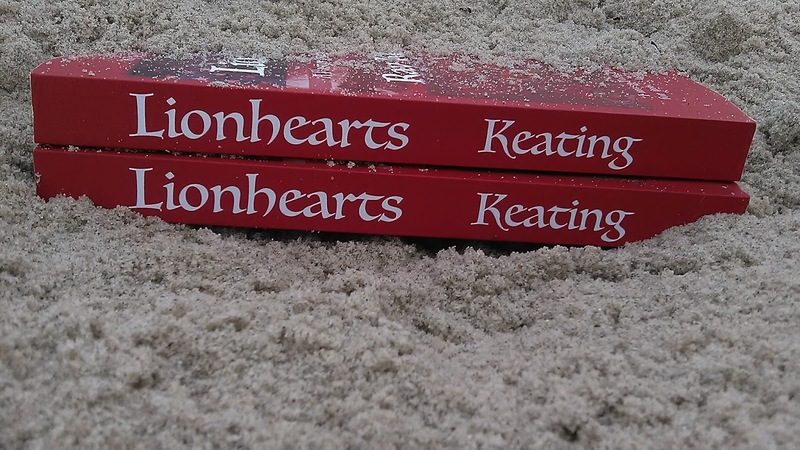 Keating’s previous Pastor Stephen Grant thrillers/mysteries – Lionhearts, Wine Into Water, Murderer’s Row, The River, An Advent For Religious Liberty, Root of All Evil? and Warrior Monk – have received widespread praise. Review copies, and author interviews and appearances are available upon request. Big Sale on Signed Books with REAGAN COUNTRY: A PASTOR STEPHEN GRANT NOVEL Coming Soon! BIG SALE ON SIGNED BOOKS! 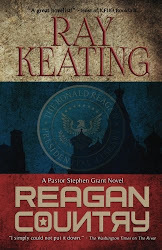 With the next Pastor Stephen Grant novel – REAGAN COUNTRY – coming soon, now is the time to catch up on all seven of Ray Keating’s current thrillers/mysteries. Save on signed books right now! Keating’s Stephen Grant was a Navy SEAL and a CIA operative. He’s now a Lutheran pastor. Get in on the action with this big sale! 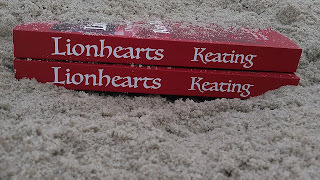 LIONHEARTS: A PASTOR STEPHEN GRANT NOVEL Has Arrived! 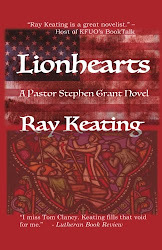 LIONHEARTS: A PASTOR STEPHEN GRANT NOVEL by Ray Keating is here! It’s the seventh thriller featuring the onetime Navy SEAL, former CIA operative, and current Lutheran pastor. In LIONHEARTS: A PASTOR STEPHEN GRANT NOVEL by Ray Keating, war has arrived on American soil, with Islamic terrorists using new tactics. Few are safe, including Christians, politicians, and the media. Pastor Stephen Grant taps into his past with the Navy SEALS and the CIA to help wage a war of flesh and blood, ideas, history, and beliefs. This is about defending both the U.S. and Christianity. Lutheran Book Review says: “I miss Tom Clancy. Keating fills that void for me.” Keating also has been called “a great novelist” by the host of KFUO’s “BookTalk” radio, and MURDERER’S ROW won the 2015 Book of the Year award from KFUO radio. Signed copies can be ordered at www.raykeatingonline.com. PRE-ORDER Signed Copies of LIONHEARTS: A PASTOR STEPHEN GRANT NOVEL now at a Sale Price! Go to www.raykeatingonline.com. LIONHEARTS will be shipped just prior to September 5th publican date! Sale on All 7 Signed Pastor Stephen Grant Novels. Order all of the Pastor Stephen Grant novels, and you effectively get a signed LIONHEARTS for free! With action on the churches, home, media and political fronts, LIONHEARTS: A PASTOR STEPHEN GRANT NOVEL ranks as a breathtaking, edge-of-your-seat thriller. Tragedy, justice, faith, love, friendship, violence, death and loss, hatred, courage, commitment and patriotism are brought to life for the reader. As with his earlier novels, Keating also serves up fascinating characters and relationships, humor, and crisp dialogue. BIG ANNOUNCEMENT: JOIN THE PASTOR STEPHEN GRANT FELLOWSHIP! We just launched a new venture called the Pastor Stephen Grant Fellowship, and we would definitely appreciate your support! 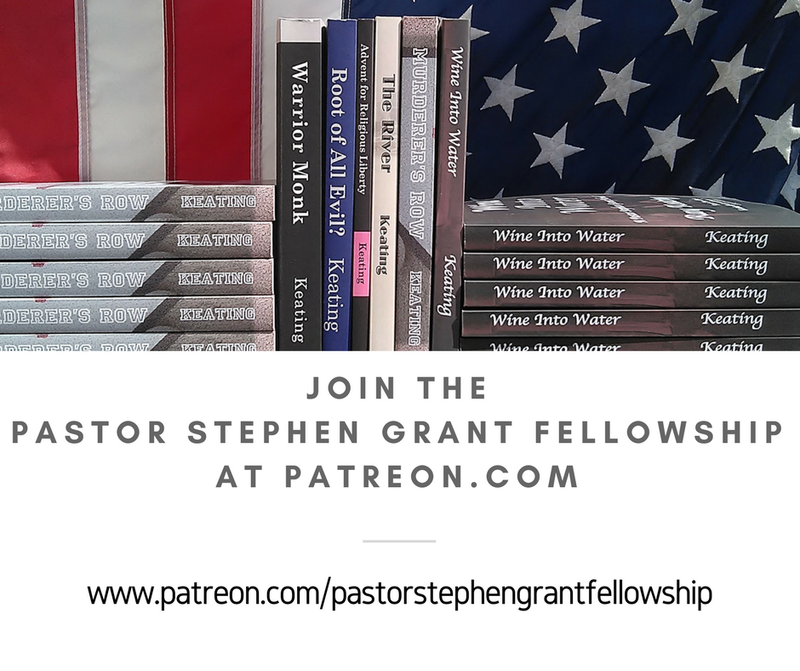 The hope is that this effort via Patreon.com will allow me to write more Pastor Stephen Grant and related novels, new short stories, guides and more. Supporters will get pretty much everything produced early and FREE, receive special thanks in the books, and other assorted goodies. (How about a character named for you or a loved one?) Please check out the entire effort, the rewards we want to bring to you, and the various levels of support at www.patreon.com/pastorstephengrantfellowship. As always, thank you for your support. If you have enjoyed reading the PASTOR STEPHEN GRANT novels half as much as I love writing them, then I’ve managed to create something worthwhile. The fact that you spend your money and time on my books is both humbling and encouraging. "The recurring protagonist shares the spotlight with many characters who appeared in preceding novels. This narrative approach, however, proves beneficial. To begin with, the story, though boasting the series' now-prerequisite action sequences, shifts most of its attention to the mystery. Keating establishes genuine suspects: seems all winemakers, from the respected to the dubious, are under attack, so those culpable aren't easily detectable. Grant undoubtedly shines in confrontations with baddies as well as lighter subplots: scenes behind the pulpit and his visible awkwardness whenever Caldwell and his wife, Jennifer, are together. But it's the search for killers that makes the biggest impact, and the pastor can't take full credit; it's a team effort, with characters (i.e., Grant's old CIA pals) that are just as essential. Long Island, NY – Who knew the wine business could be sordid and violent? But that’s what happens when infiltrated by counterfeiters. A pastor, once was a Navy SEAL and CIA operative, is pulled into action to help unravel a mystery involving wine fakes, murder and revenge. WINE INTO WATER: A PASTOR STEPHEN GRANT NOVEL is Ray Keating’s sixth novel. Along with his former CIA colleagues and the FBI, Grant is called on to seek justice and take on evil, while embracing forgiveness and staying rooted in his calling as a pastor. 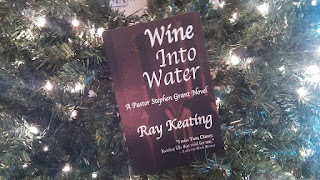 In WINE INTO WATER, Keating not only serves up fine wine accompanied by some excellent food, but also a compelling mystery, interesting characters, action, adventure, fascinating relationships, humor, international intrigue, weakness, strength, doubt, forgiveness and faith. Discover Pastor Stephen Grant and his world of intrigue, faith, action, love and murder. Amazon.com reviewers compare his thrillers to the works of Clancy, Ludlum, Grisham, Cussler, Griffin and Morrell. 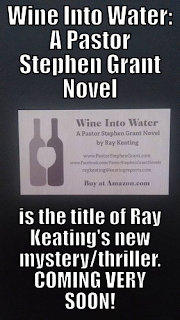 Keating’s previous books include MURDERER’S ROW: A PASTOR STEPHEN GRANT NOVEL, THE RIVER: A PASTOR STEPHEN GRANT NOVEL, AN ADVENT FOR RELIGIOUS LIBERTY: A PASTOR STEPHEN GRANT NOVEL, ROOT OF ALL EVIL? 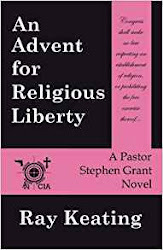 A PASTOR STEPHEN GRANT NOVEL and WARRIOR MONK: A PASTOR STEPHEN GRANT NOVEL. In addition to being a novelist, Keating is an economist, entrepreneur, a longtime adjunct professor, and a former, 20-plus-year newspaper columnist with Newsday, Long Island Business News and the New York City Tribune. Review copies, interviews for the media, and author appearances are available upon request. 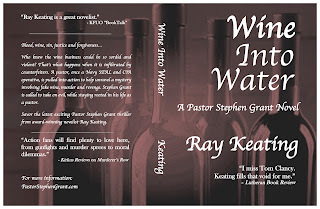 Pre-Order the Kindle Version of Ray Keating’s New Thriller WINE INTO WATER: A PASTOR STEPHEN GRANT NOVEL. Order now and the book will be delivered to your Kindle on October 27th! The paperback will be available on October 27th as well! Who knew the wine business could be so sordid and violent? That’s what happens when it's infiltrated by counterfeiters. A pastor, once a Navy SEAL and CIA operative, is pulled into action to help unravel a mystery involving fake wine, murder and revenge. Stephen Grant is called to take on evil, while staying rooted in his life as a pastor. 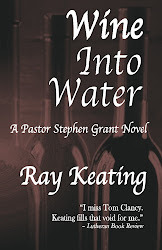 WINE INTO WATER is the sixth thriller in the Pastor Stephen Grant series penned by award-winning novelist Ray Keating. 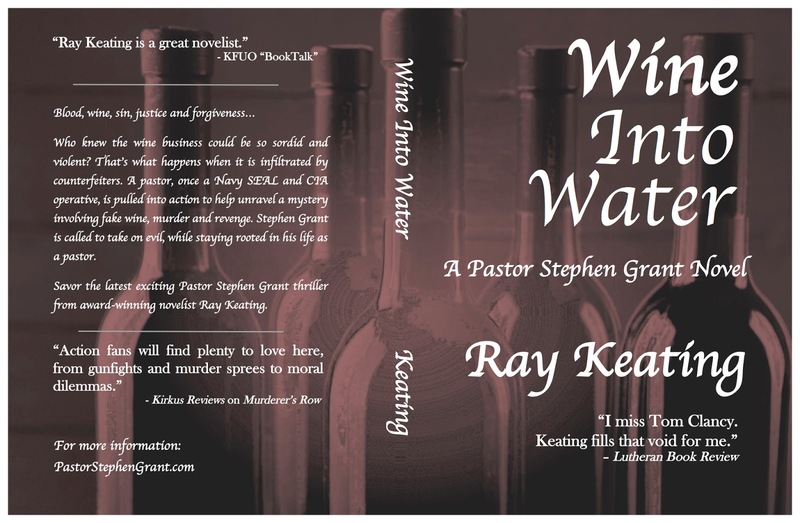 New Pastor Stephen Grant Novel Coming Soon! Big Announcement! 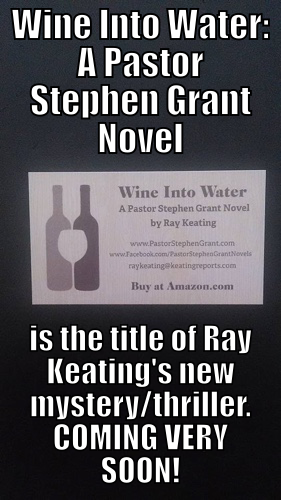 Get ready, the new Pastor Stephen Grant novel by Ray Keating is coming very soon! 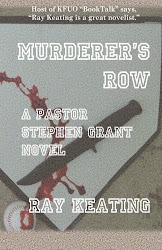 Long Island, NY – MURDERER’S ROW: A PASTOR STEPHEN GRANT NOVEL by Ray Keating won “Book of the Year 2015” as awarded by “BookTalk” on KFUO radio. Ten books were nominated for the KFUO “Book of the Year,” and listeners were able to vote. While making the announcement, Rod Zwonitzer, host of “BookTalk,” said this year saw a record number of votes, and it was an extremely tight race between the four top vote getters. MURDERER’S ROW is a gripping, thoughtful thriller that ties together rescuing a Christian family from the clutches of Islamic terrorists, minor league baseball in New York, a string of grisly murders, sordid politics, and a pastor who formerly was a Navy SEAL and CIA operative. 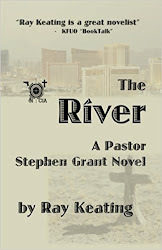 This is the second year in a row that Keating has had a book nominated, as THE RIVER: A PASTOR STEPHEN GRANT NOVEL was a KFUO “Book of the Year” finalist in 2014. 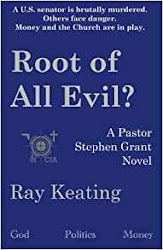 Ray Keating’s previous books include THE RIVER: A PASTOR STEPHEN GRANT NOVEL, AN ADVENT FOR RELIGIOUS LIBERTY: A PASTOR STEPHEN GRANT NOVEL, ROOT OF ALL EVIL? A PASTOR STEPHEN GRANT NOVEL and WARRIOR MONK: A PASTOR STEPHEN GRANT NOVEL. Order Signed Copies of the Pastor Stephen Grant Novels! Signed copies can be purchased at Ray Keating Books. 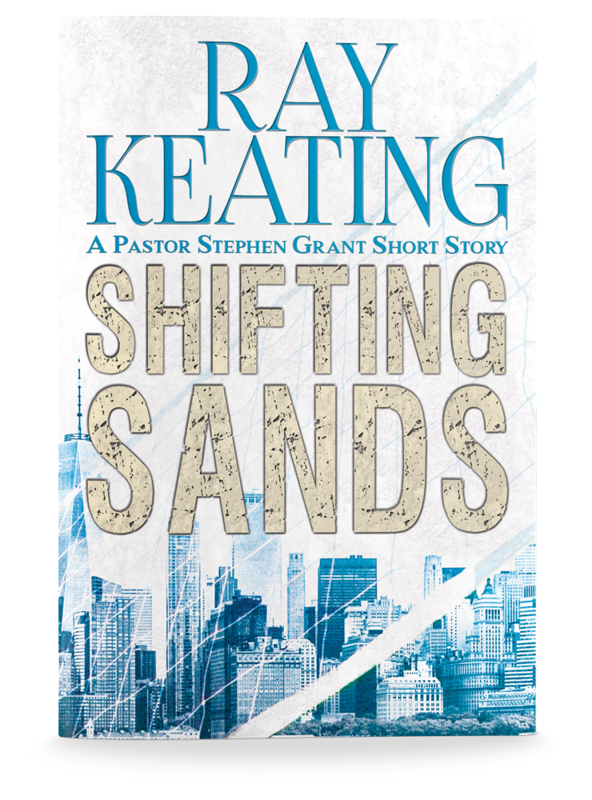 Ray Keating is the author of the Pastor Stephen Grant novels and short stories, and "The Realistic Optimist TO DO List & Calendar 2019." Keating also is a commentator and economist. He was an adjunct college professor and a weekly newspaper columnist, including with Long Island Business News and Newsday, for two decades. In addition, his work has appeared in a wide range of additional periodicals, including The New York Times, The Wall Street Journal, The Washington Post, New York Post, Newsday, Los Angeles Daily News, The Boston Globe, National Review, The Washington Times, Investor’s Business Daily, Colorado Springs Business Journal, New York Daily News, Detroit Free Press, Chicago Tribune, Providence Journal Bulletin, and Cincinnati Enquirer. The views expressed by Keating are strictly his own.